Pre-registration allows you to submit a registration in advance in order for you to visit someone whose neighbourhood is using i-Neighbour. 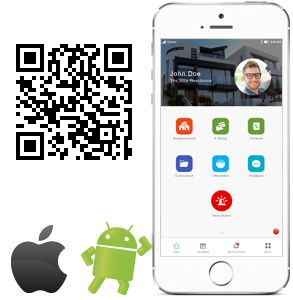 After your visitation has been accepted by the respective resident, you will then be provided with a QR code by the system automatically. The QR code serves the purpose of a quick and easy access pass to the neighbourhood. 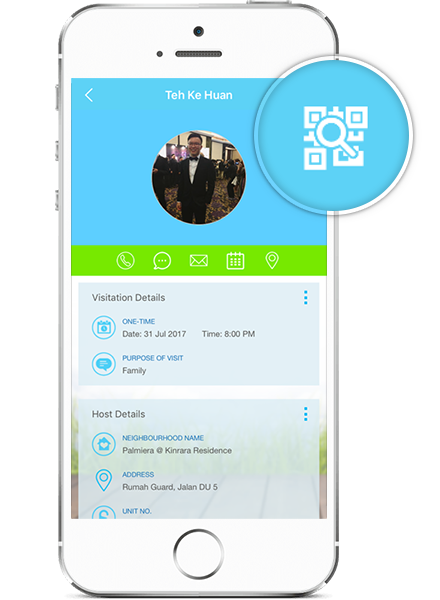 When you get the QR code scanned at the guard house, the security guards will immediately have your information recorded in the system. Step 2: Enter the resident’s information. You are required to get the Unit No. and resident’s name exactly as per registered in i-Neighbour system in order to proceed further with the registration. 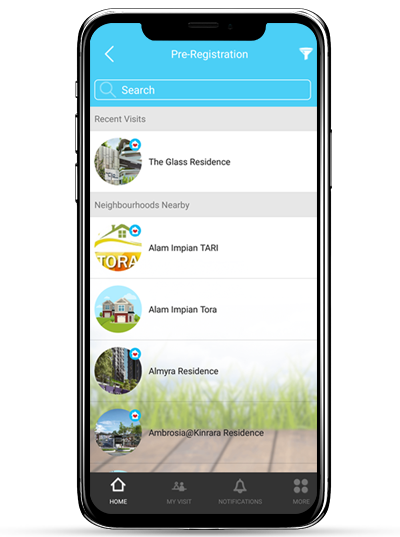 This is to protect the privacy of residents using i-Neighbour. One Time: A single entry pass for you to check in and out. Multiple In-Out: Multiple entry pass, where you can check in and out multiple times within the permitted duration. You will need to set the Arrival and Departure date and time for this visit type. Maximum duration (arrival and departure date) allowed is up to one month. Recurring: A multiple one time visit (recurring) pass. You will be allowed to check in and out for only ONE time within the registered day. You can register as a recurring visitor, for up to three months. Please add in the date range for the recurring visit, and the day and time of visits. Individual: You are checking into the neighbourhood alone. Group: You are checking into the neighbourhood with a group of people. Maximum of five visitors are allowed to check-in within a group. Vehicle: If you are driving into the neighbourhood. Walk-In: If you are walking into the neighbourhood. Step 4: Enter your personal information that is required by the neighbourhood. You will be notified when the resident has responded to your registration. If your registration has been accepted, a QR code will appear at the top right of the page as shown above.